Islamabad (Urdu: اسلام آباد‎, abode of Islam) is the Federal capital city of Pakistan, and is in the Pothohar Plateau in the northwest of the country. Islamabad Town is also a town in Jammu and Kashmir. 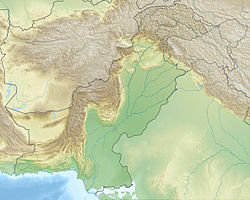 It is in the Islamabad Capital Territory, though the area has historically been a part of the crossroads of the Punjab region and the Khyber Pakhtunkhwa province (the Margalla Pass being a historic gateway to the Khyber Pakhtunkhwa, and the Pothohar Plateau historically is a part of the Punjab region). Islamabad is at 33°40′N 73°10′E. This city is rich in nature. It is surrounded by the Margalla Hills. 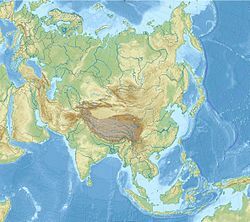 It has a humid subtropical climate (Cwa in the Koeppen climate classification). ↑ "CDA Facts & Figures". ↑ "PROVISIONAL SUMMARY RESULTS OF 6TH POPULATION AND HOUSING CENSUS-2017". pbs.gov.pk. Retrieved 24 November 2017.